We now sell complete kits and accessories at www.buplabs.com. These DIY parts will still be available here, but you can get the latest and greatest directly from Bup complete with all hardware and accessories. 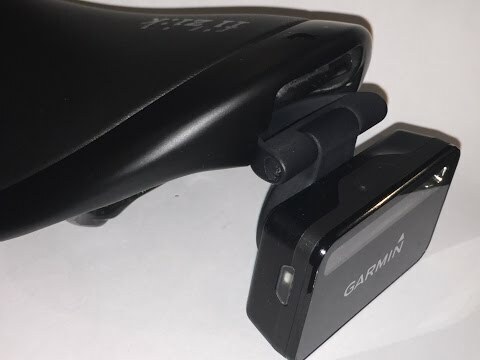 The new Garmin mounts include the quarter turn clip, and have other improvements. This Garmin quarter turn mount arm attaches to the Fizik Mount System (sold separately) and allows you to mount Garmin lights directly to a Fizik saddle. It uses the Fizik built-in generic mounting system found on almost all Fizik saddles that allow accessories to be clipped in and out without tools. The saddle mount system snaps into the saddle and the appropriate mount arm is attached to the mount system. This mount arm uses the Garmin quarter turn mount supplied with most Garmin accessories. We use the Garmin quarter turn mount connection because the mount is much stronger than traditional printed mounts over extended periods. In order to use this mount, you must have the Fizik Universal Mount System (sold separately), an existing Garmin quarter turn mount (like the one included with the Garmin Varia light) and a 30mm M3 button head socket cap screw and nut to attach the arm to the mount system. You will remove the Garmin quarter turn connector from the stock Garmin mount by removing two M3 cap head screws, then simply screw it into this mount arm using the same two screws.There is also a generic GoPro mount arm available here. The base mount system clip can be found here. The Garmin Varia radar tail light can be found here and is shown for illustrative purposes only.